One day I came home from work and there was an old woman standing in my front yard looking for something on the ground. On closer inspection, I realized that she had a handful of herbs and she was wildcrafting. (Okay, truth: I got really excited). I asked her what she was collecting and quickly found out that she doesn’t speak English and doesn’t know the English word for the plant. Instead, she started telling me in broken English/Chinese what the plant was used for. Her hand was at her throat and she was saying something like “cuf.” I wracked my brain for weeds that are harvested before they flower, grow in poor soil, and help with cough. I thought “Grindelia,” but that’s the scientific name and it seemed that the common name would be helpful here. “Gumweed?” I asked. The old woman’s eyes lit up and she started nodding in surprise and excitement— “Gumweed, gumweed, gumweed!” she said. I thanked her with a smile and we went our separate ways. That interaction took all of 2 minutes, but it was amazing. It makes my heart sing when I see people collecting common weeds for medicine. I think that woman would probably agree. I hadn’t made the connection that this particular plant was gumweed until I saw the recognition cross her face and we shared that moment of breaking the cultural barrier. This is one of those weeds you see on roadsides and on disturbed lands in the bright sun. They’re fairly prolific throughout the Northern Hemisphere (you’re going to start seeing them everywhere now). If you want to grow it, just put it in some poor soil with no fertilization in a place that gets serious sunlight. Water it sometimes BUT don’t water it when you’re approaching harvest time. You want the ooey-gooey resin that it will produce for you sans water. They mimic the dandelion flower but actually have a totally different kind of medicinal use structure going on (and would actually make a great addition to dandelion for your body). One of the wonderful things about plant medicine is how versatile our friends are! When we talk about plant medicine, we often talk about the “actions” of the plants – what they do for us. 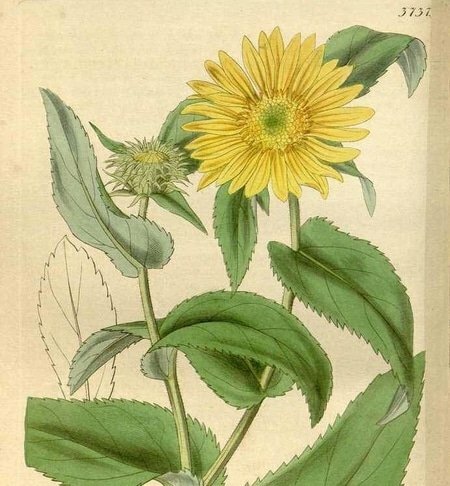 The old woman that I met was collecting gumweed for her cough, and indeed its traditional use is for bronchial issues like a congested cough, asthma, stuck congestion, and a cough associated with allergies, but grindelia has a lot of other uses too! It helps with the lungs, is a tonic for the heart*, stimulates digestive secretions (it’s bitter), calms the nervous system, and is wonderful for the skin. There aren’t very many herbs like grindelia that are so ultra-useful for the body. It certainly makes an elegant formula when you’re working with several issues. But my favorite way to use grindelia is topically, for skin complaints—especially for hard-to-cure skin complaints. *Note: Grindelia is hypotensive. Be aware of taking it with prescription medications that also lower pressure. It’s that time of year when we’re spending a lot of time outside touching plants, getting stung by mosquitos, and petting dogs that just rolled in poison oak (or is that just me?) … Anyways, it’s the itchy season, and if you react to bug bites and scratchy plants, think “grindelia” (or “gumweed” if it’s easier for you). This roadside weed is fantastic to use topically for itching related to bug bites, and allergy rashes. You can use the flowers or the juicy resin as a poultice if you’re itching in the field, or you can think ahead of time and make a salve with an infused oil. Optional: other herbs like calendula and lavender are nice too. Put your oil and your flowers together in a crock pot on low for a few hours. You can also put them together in a dark place for 1-2weeks if you have the time. Strain out the flowers and add the melted beeswax to the warm oil. Your oil and your beeswax need to both be warm and melted for them to mix. If you pour your beeswax into your oil and it hardens, don’t worry. Just heat up the mixture until it’s melted and stir it. Voila! You’re a pro! Take your salve with you to all the itchiest situations. Do you have a remedy for the itchy season? Share it below! Alfs, M. (2003). 300 Herbs Their Indications and Contraindications. New Brighton, MN: Old Theology Book House. Gardner, L. (2008). Life in the medicine: A guide to growing and harvesting herbs for medicine making. Sebastopol, C.A. : Emerald Earth Pub.